Our first guest of 2016 is an awesome young woman – Sanika Mahajan. 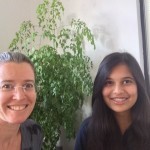 Sanika is a high school student who joined HIPLegal as a summer intern in 2015. Take a short trip down memory lane as you listen to Sanika’s experience in high school. 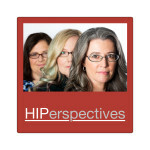 You’ll hear her take on the conversation around girls/women in STEM and be reminded of just how tough the demands of high school (and all those extracurricular activities) can be. As we focus this year on the election of our next leader, it is reassuring to know that we have young people like Sanika in the pipeline for future leadership in our country! View the Elephant in the Valley Survey Results here. Then, please find someone to talk with about the results and what solutions we can find to change these numbers.